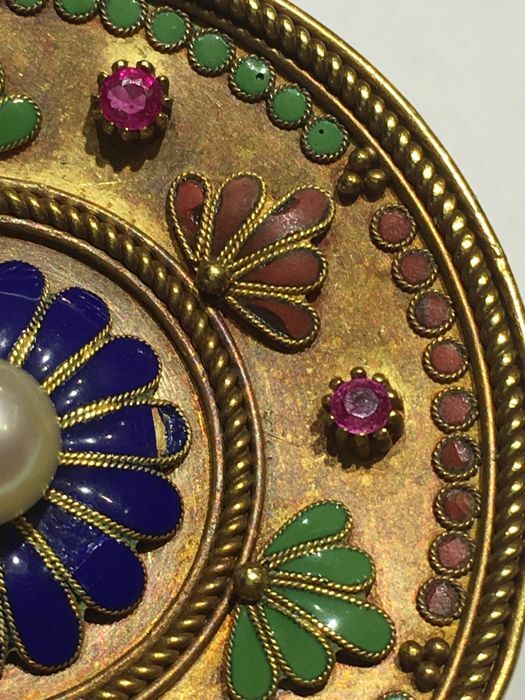 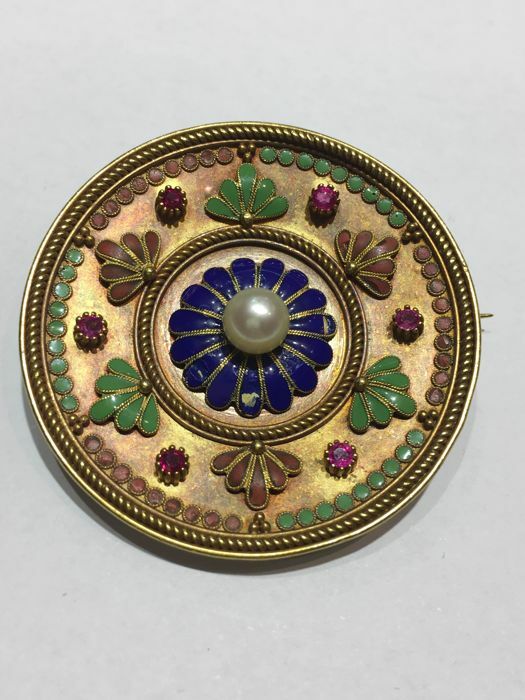 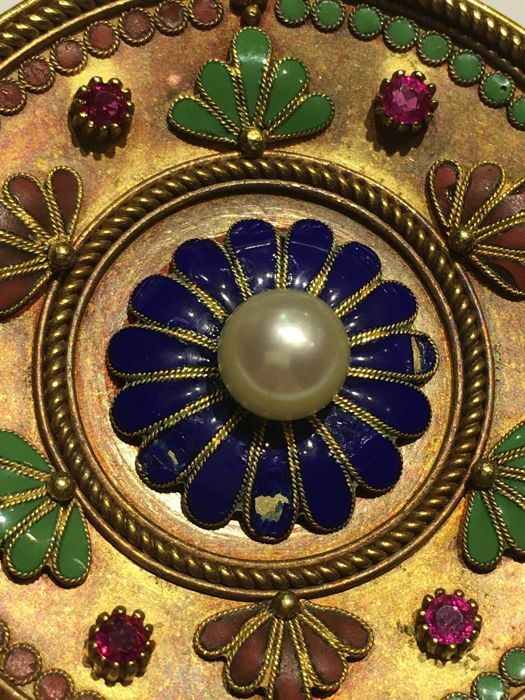 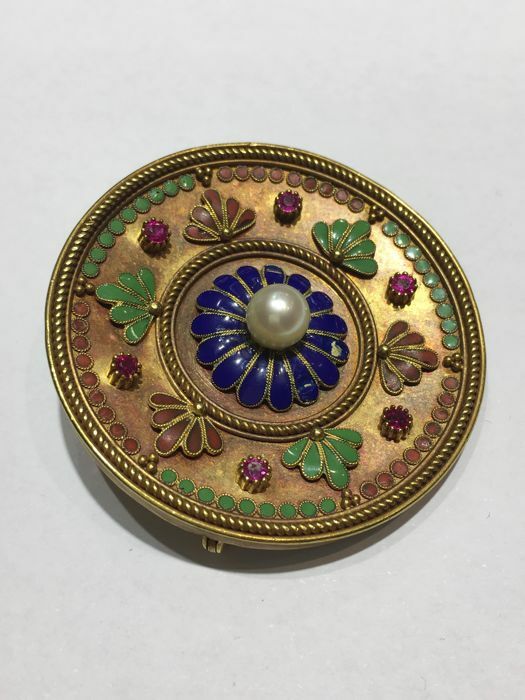 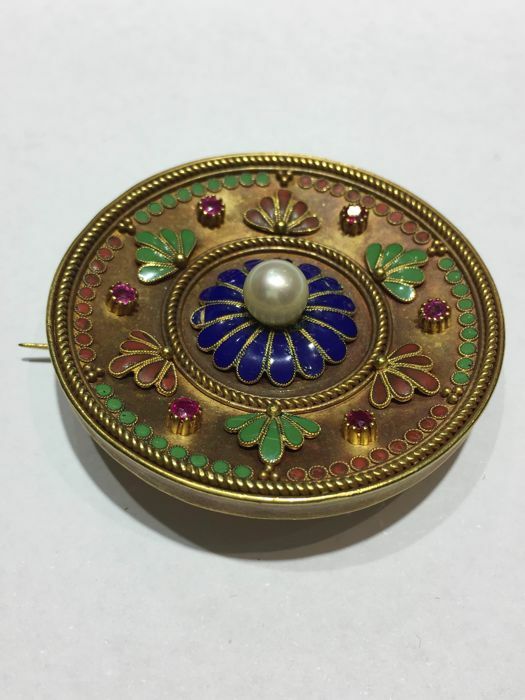 An 18 kt yellow gold brooch with polychrome enamels, natural brilliant cut rubies and spherical salt water cultured pearl. 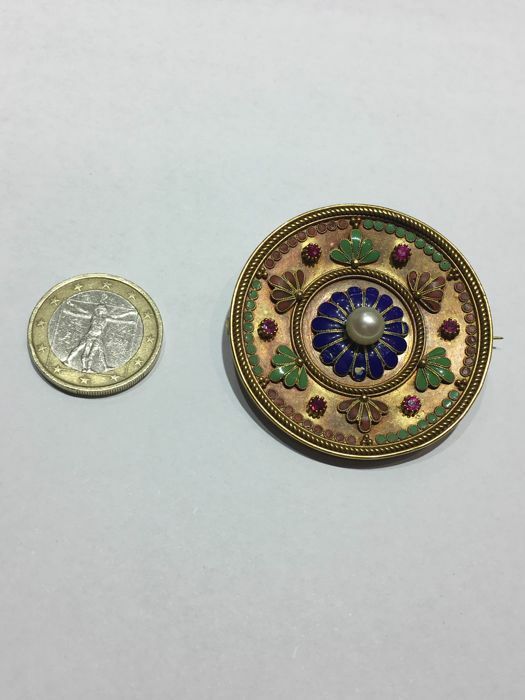 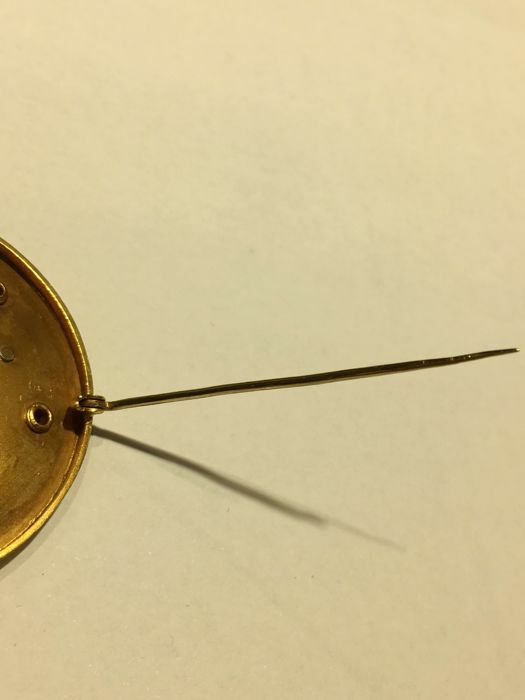 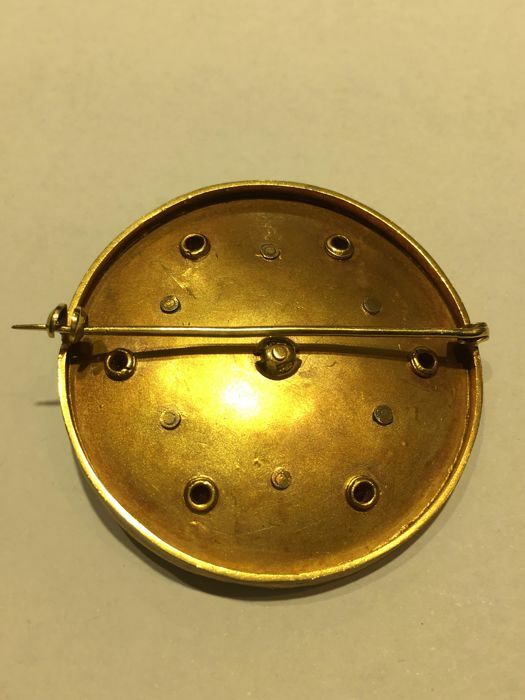 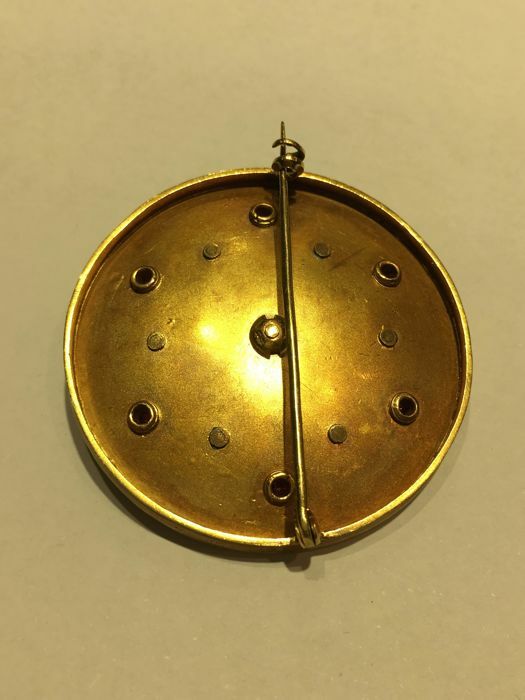 The pearl measures 16 mm. 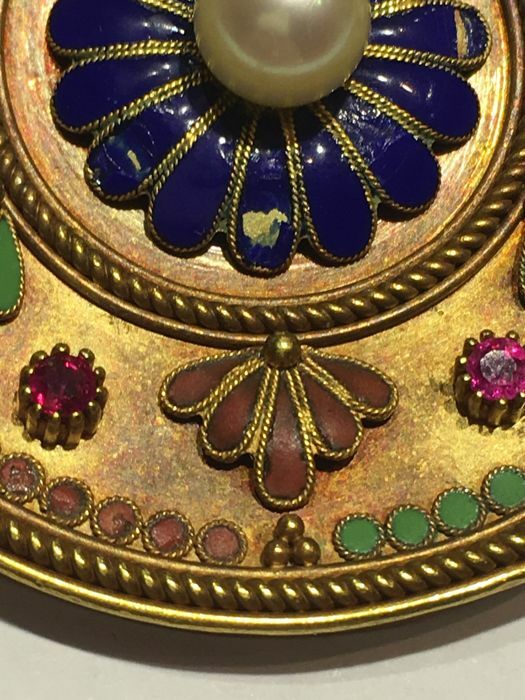 The blue and red enamels are damaged. 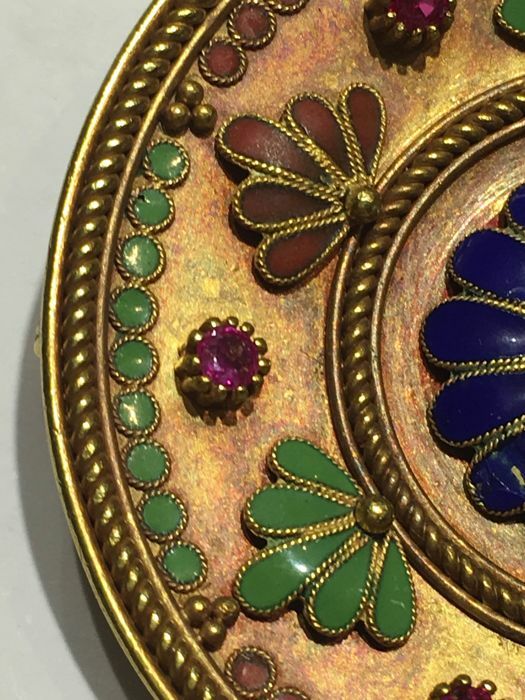 The total weight of the rubies is approx. 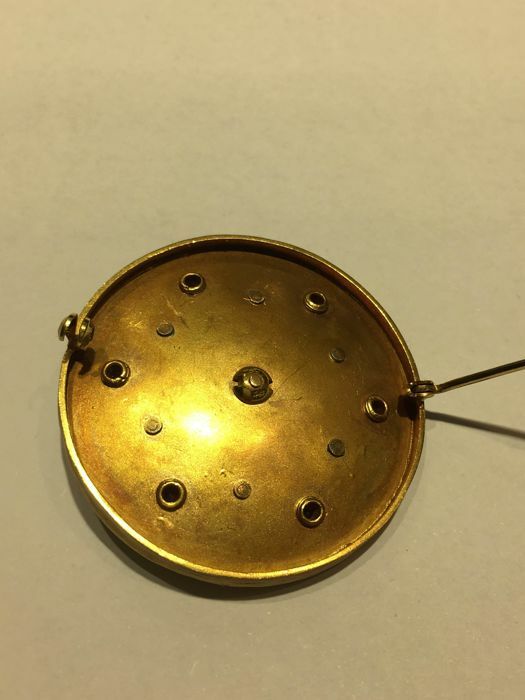 0.13 ct.